Martta Karol describes her life as having been driven by insatiable curiosity, softened by contemplation, and cemented by trial and error. Along the way, her journey has been spiced with varied pursuits, adventures and misadventures, all contributing to a savory mix for the soup of storytelling. Though her muse has always been with her, it long remained latent, longing, put aside to make room for more important things: the necessities of family, education, making a living. Martta has a Master’s Degree in Clinical Psychology, has lived in Minneapolis, San Francisco, New York City, Paris, France and Portland, Oregon, and she is now retired and happily at home in Vancouver, Washington, where she devotes her time to developing her craft as a writer, meditating and enjoying life’s simple pleasures. People often ask me why I write. The simplest answer: writing gives me immense pleasure. I am delighted by words, not just how they communicate or what they mean, but how they play: the way they ring and rattle, sometimes whisper and other times roar, their rhythms and their beats, the pictures they paint and patterns they weave. I also write because I am fascinated by the ins and outs, the twists and turns of both everyday and, I believe, always extraordinary life. If we are mindful, no detail is inconsequential: no experience, no encounter, no hour nor day, no nano-second. I take nothing for granted—a derivative of my background, I’m sure. We are all a product of our histories, the whole continuum right up to the present—the whole catastrophe, as some would say—from which our unique gifts are born. Yes, I grew up in a dysfunctional family. Common, and not particularly noteworthy. Conscious or otherwise, I spent much of my young life trying to understand my own neurosis, and now I write because maybe, just maybe, the stories I tell will help others make sense of their own “stuff,” unique or standard issue. After all, lives are a lot like music, with patterns repeated, variations on themes, and sometimes extraordinary flights of unique improvisation—all that jazz, if you know what I mean. Like jazz, stories are meant to be heard, to strike resonant chords in our hearts or rumble down deep in our gut. Soul music. Melodies and words about what matters. When we tell our stories and they are listened to, and when we listen to other people’s stories, we build community, come closer. We grow in understanding of ourselves and others, and hopefully become more curious, suspend old ideas and assumptions—you know, the way we think things are supposed to be—and become more compassionate. Writing gives voice to our stories, and reading, I think, is a kind of listening. Through the sharing of stories we can open doors or peer through windows and see things never seen before: a crack opened, a new twist, a revelation. As a captivating memoir’s, short story’s or novel’s characters are transformed, so, too, are its readers. I don’t assert that I accomplish all my lofty goals with great virtuosity, only that I try and mean well, and continually work at doing better. At the very least I hope my writing entertains. What more can I say? My writing, like my life, continues to evolve. 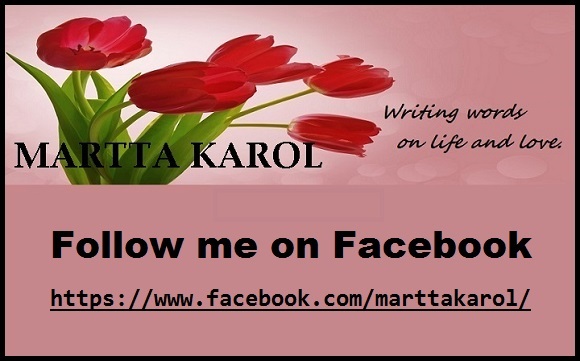 I invite you to join me in my journey, here on my website and by following me on Facebook and Google+. I’ll keep you updated on my novel-in-progress, The Flying Girl, and notify you of new posts related to the novel’s universal themes, the personal issues the characters struggle with to achieve healthy relationships and sexual intimacy, as well as the place and times in which the story takes place: San Francisco in the late ’60s, the Sexual Revolution and advent of Women’s Liberation. You’ll also be among the first to know when I publish short stories, essays, and articles you might enjoy. Don’t hesitate to contact me if you have further questions or feedback to share; I enjoy reading your comments on my posts and welcome your emails. Psst! When you sign up to follow my blog by email, your email address will be used ONLY to send announcements of my new posts to you. Simple and easy. And no spam! Don’t worry about getting flooded with emails either–I hate that, too!–I only do posts a few times a month, maybe once a week. Want to check out my most recent blog posts now? Click on HOME in the black top menu bar! Thank you, Clare. And Roxie, who I assume has quite highly developed–and independent–reading preferences, given how long cats have been habitues of bookstores! Such complimentary words! Thank you so much. I wish my writing was always effortless, but, since you are a writer, too, I’m sure you know how much goes into the process. And I am forever learning, practicing. That’s the fun part, though, isn’t it? Martta I am nominating you for the Liebster Award. https://ajbworld.wordpress.com/ Check it out! Thank you so much for nominating me for the Liebster Award and for your thoughtful words about my blog site. I have much enjoyed reading the posts on your site, https://infobloomer.wordpress.com/, as well. Great images, too. All the best to you!